The Australian great carded a superb five-under 67 in Thursday's opening round at the Grange Golf Club in Adelaide. 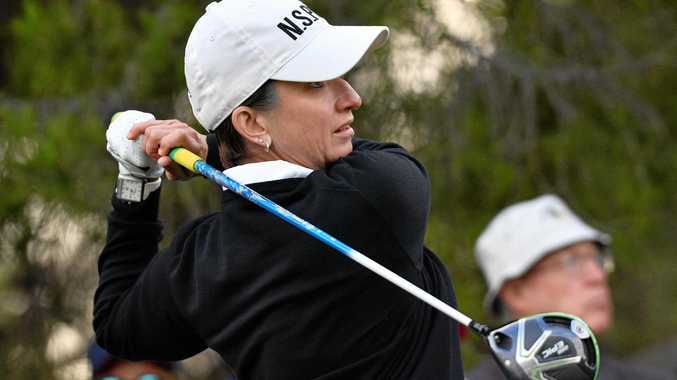 The 44-year-old has scaled back her LPGA Tour commitments, playing just eight tournaments last year and missing the cut in the big three: the Australian Open, US Open and British Open. A batch of golfers, including South Korea's defending champion Jin Young Ko and Australian Hannah Green, are four under. Australia's top-ranked golfer, world No.7 Minjee Lee, finished with a one-under 71 and lamented some errors. New Zealand's former world No.1 Lydia Ko had four bogeys in a roller-coaster one-under round to be well adrift of leaders Hsu, who shot five back-nine birdies, and Ewart Shadoff, who made seven birdies in a blemish-free morning round. Trend setting WHEN it comes to style, Bundaberg people have it in spades.